 The Oregon Center for Nursing was excited to join the Oregon Nurses Association and Oregon Health and Science University School of Nursing for a KATU news story on Oregon’s nursing shortage. Didn’t have a chance to see the story? Check it out below! Or watch the video here. Oregon and Washington will be short a combined 13,000 registered nurses by 2025, a federal report finds. The report, released by the Health Resources and Services Administration (HRSA), predicts Oregon will need about 6,000 more nurses than it will have trained by 2025. Washington’s shortfall is about 7,000. The report assumes demand for nurses will continue to grow (driven by an aging population) while supply will stay mostly stagnant. Jana Bitton, the executive director for Oregon Center for Nursing, said that supply-side problem stems partially from retiring nurses. “It’s about a third of all [Oregon] nurses that are going to be retiring in the next 10 years,” Bitton said. Bitton added that replacing them and training additional nurses will be difficult owing to a growing nurse faculty shortage. She said as of October there were 45 open nursing faculty positions in Oregon and that nursing programs anticipate having to fill as many as 200 full- and part-time positions in the next two years. Susan King, executive director of Oregon Nurses Association, said recruiting nurse faculty is difficult given the comparably low rate of compensation for their skills. “When you think about a staff nurse in a hospital leaving that position to go to a faculty position, in many cases the percentage reduction in salary and compensation would be 30 percent or more,” King said. Adding to that difficulty: Less than 15 percent of registered nurses have the advanced degree required to teach the practice. The same HRSA report that warns of a nurse shortage in Oregon and Washington also reveals the United States as a whole will have a nurse surplus by 2025. In fact the 340,000 nationwide nurse surplus dwarfs Oregon’s 6,000 nurse shortage. King believes new incentives, whether initiated by the Legislature or hospitals, may be necessary in order to draw more nurses to Oregon, especially to rural parts of the state. “We can always do more [to draw people to rural areas],” she said. She added that different staffing standards for nurses in what are typically less desirable positions (such as long-term care and home health care), can help relieve the stress those nurses are under and drive more nurses into those settings. Instead, Bakewell-Sachs said a potential solution could involve keeping more nursing faculty clinically active, allowing them to draw a paycheck from their more lucrative roles outside the classroom. “We have not kept clinical nurses engaged in the education enterprise. And we haven’t facilitated strong ways for nursing faculty to remain clinically active,” Bakewell-Sachs said.